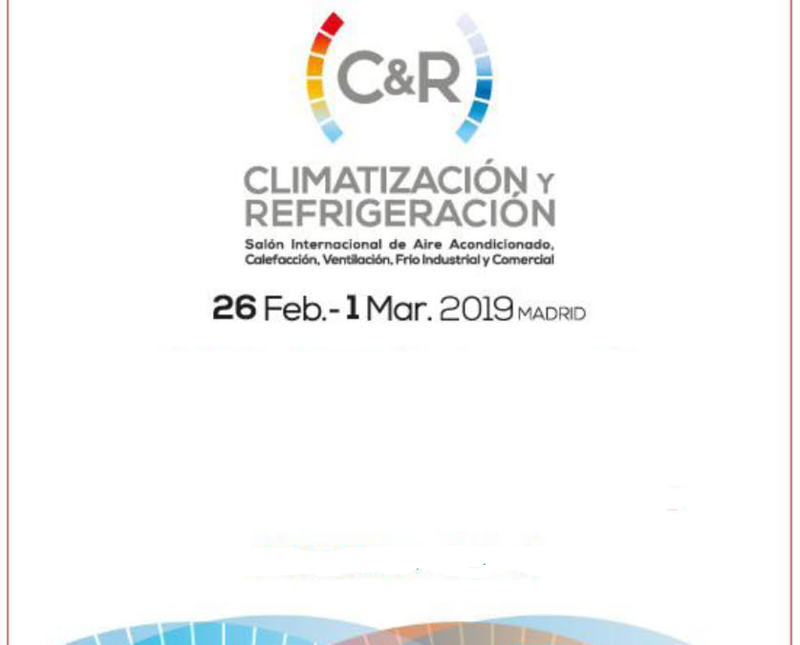 The countdown begins for the celebration of the great meeting of the sector in C & R CLIMATIZACIÓN Y REFRIGERACIÓN 2019. From February 26 to March 1, 2019 will take place the International Exhibition of Air Conditioning, Heating, Ventilation, Industrial and Commercial Cold, in the facilities of IFEMA. Control y Ventilación, SL, as manufacturer of Evaporative Refrigeration Equipment (HUMIBAT), Filling and High Efficiency Droplet Separator for Cooling Towers (PANAL C & V and SEPARADOR C & V), and Cooling Towers (NUCLEOS Towers), will assist as on previous occasions, where you will have the pleasure of receiving and serving your customers, guests and visitors in general to inform them of the high quality of their products. You can visit the Control and Ventilation stand in Hall 8, Stand 8E24. Control y Ventilacion, S.L. is a company of international renown within the industrial and livestock sector, for being a manufacturer of products within the evaporative cooling sector, such as the HUMIBAT, evaporative plastic cooler; or its NUCLEOS towers, Cooling Towers. In both products, the substrate in which the evaporative process is produced is a plastic honeycomb, a honeycomb resistant both to physical and chemical attacks, and at the same time flexible, a honeycomb with a mesh structure, made of polyethylene High Density, and marketed under the names of PANAL C & V or in the case of being a drop separator, SEPARADOR C & V .